Some years back, I got quite a scare. Within 24 hours, my horse went from fine to perilously sick. Dr. Charlie Brown from Annabessacook Veterinary Clinic answered the midnight call. 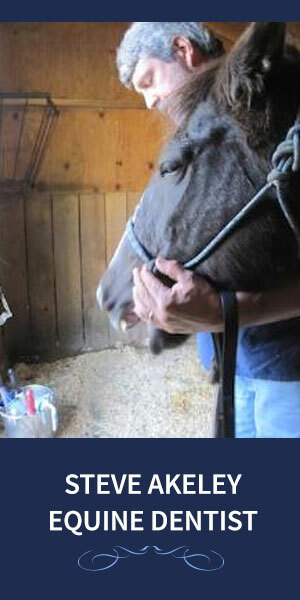 She initiated the intensive care that helped save the big thoroughbred gelding. Read more about it here. In the eye of the storm, I noticed Charlie had a pretty nice-looking barn coat – brown, cotton, multi-pocketed and falling below the hips. Cabela’s sold them, she said. As a sort of celebratory purchase, I bought one. It was functional but didn’t shed hay or horse hair. I brought plenty into the house or car whenever I wore it. Nor did it look nice enough to wear in town without looking and feeling frumpy. So, I kept looking. 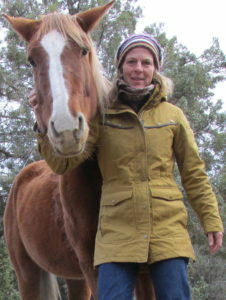 Carhartt and LL Bean jackets have served me well, but they didn’t exactly ooze femininity or fit the horse-tending bill. Now, the quest for the perfect barn coat is over. I found it in Cotopaxi’s Bengal insulated waxed canvas jacket. Enter “nickernews” at checkout to receive 20% off. Waxed canvas means you don’t bring hay, hair or shavings with you. They shed off, along with the rain and snow. Side snaps at the hips make it perfect for riding. 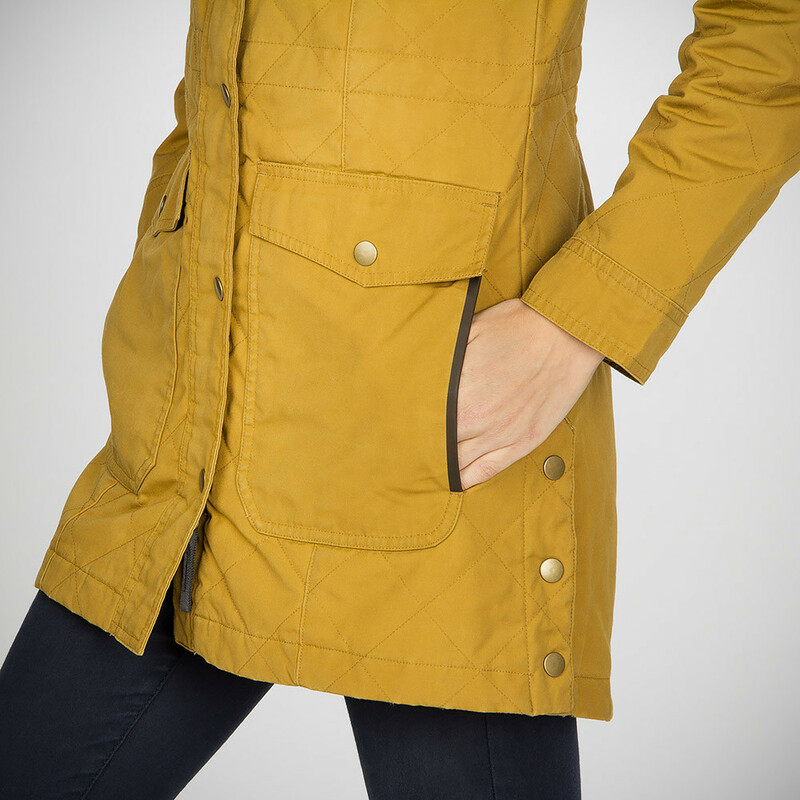 Pockets don’t billow out, giving it a tailored look while still retaining functionality. It’s insulated with Polartec, but has a nylon lining. Layers slip under it easily and you don’t inadvertently turn the sleeves inside out when taking it off. It falls below the hips, making it all the warmer and classier. Snaps and flaps on pockets means they don’t fill with hay (or snow). Nor does your phone or camera fall out. It’s good to note that this jacket is styled for slim figures. If you’re between sizes, order up. 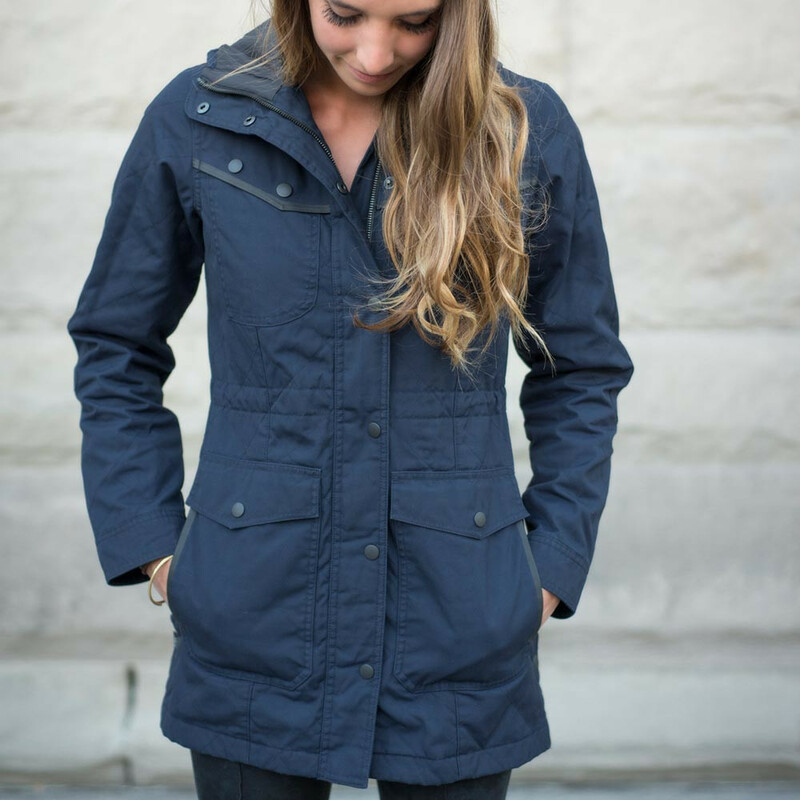 Cotopaxi is a Utah company that partners with non-profit organizations. Their “Gear For Good” is direct to consumer and helps fund a wide array of charities. Purchase of the Bengal jacket helps fund Radiating Hope; it provides radiation equipment, training, and cancer treatment in developing countries. Posted in On the Trail, Reviews and Links and tagged barn coat for women, cotopaxi. awesome! I too have been looking for a good jacket as so many are designed for heated indoor arenas these days. Thanks for sharing. When you say slim I’d guess you are a medium? does that allow for a fleece underneath? did you get the under layers as well? curious what temps have you found it good too – I’m tempted to get a Canada Goose jacket this year already frigid around here! Thanks, Nancy! Yes, I’m 5’7″, 130 lbs and wore a medium with a few non-bulky layers underneath (t-shirt, flannel, and light vest). It hasn’t been too cold yet, but it did brilliantly with these layers in 20 degree (F) temps. I especially liked the longer length for keeping the shivers off my back.